Advent Music provides Calligraphy Services for your Dinner and dance reception. If you are an event organiser or a the person in your company in charge of sourcing for entertainment and activities for your event, look no further as we will be able to provide you a hassle free, one stop solution for your event. Your guests will enjoy this unique addition to your event. Queueing up at a table, your guests can inform the calligraphy artist, one by one, of their chinese name, and the artist will get to work immediately by writing out the person’s name on a red slip of paper. 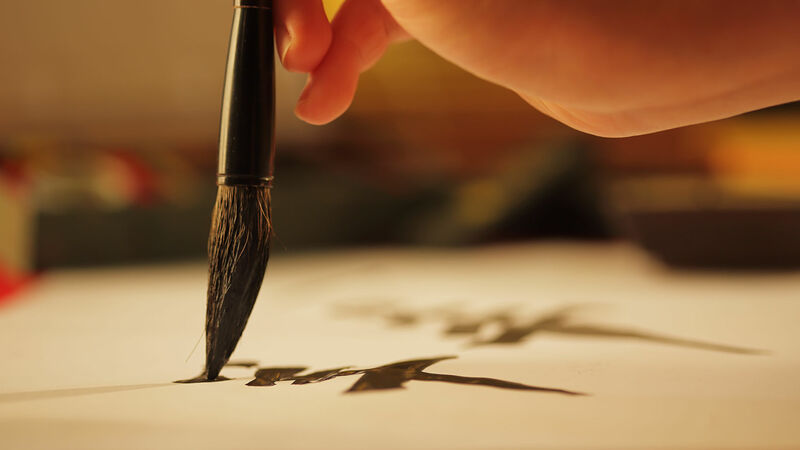 Their chinese name will come to life immediately as the brush dances across the paper, turning your client’s esteemed name immediately into a beautiful work of art. This is typically done during the reception of your dinner and dance event, and the service stops once it is time for the guests to head into the main hall / dining area. Feel free to enquire more, or to contact us for details on the right side of this page. Alternatively, you can reach us at admin@advent-music.com . Not Chinese? Not a problem! Our Calligrapher is able to come up with a chinese equivalent for a name from a different race and carry out the calligraphy. It makes a for a fun conversation starter and promotes racial harmony and diversity.